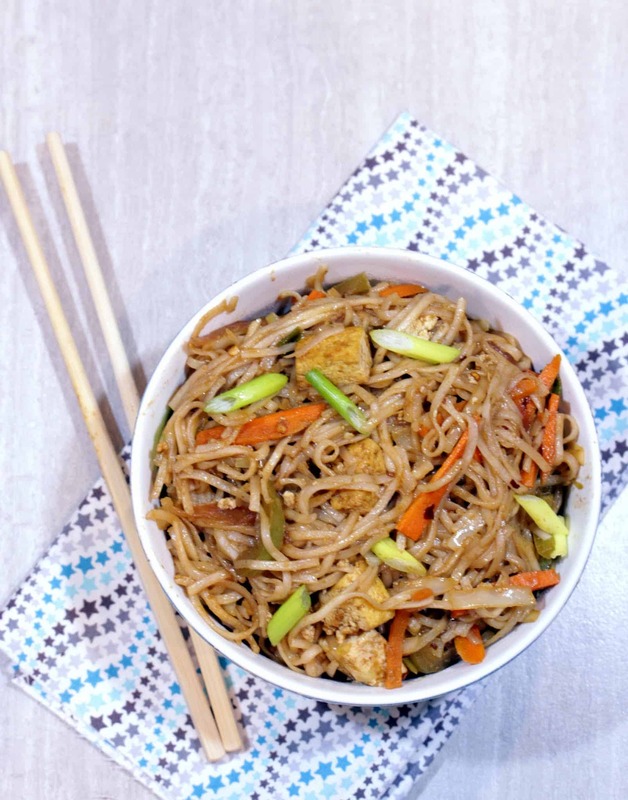 Under the street food category, this is another recipe that I love. 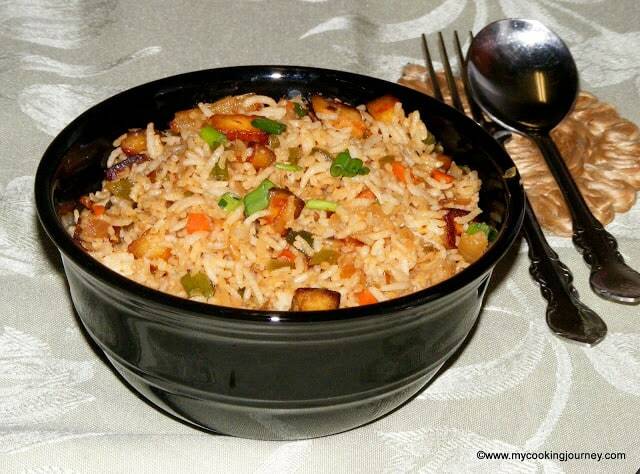 When I make the Gobhi Manchurian, I always pair it up with this very simple fried rice. Most of the times, I miss eating it on the streets because they add egg to it. 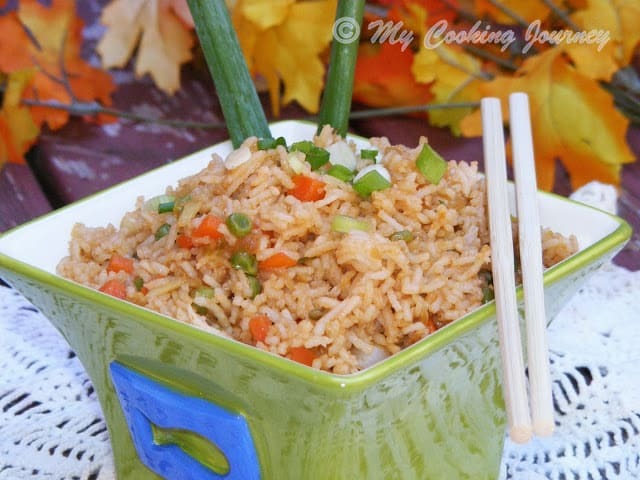 This fried rice could be made in a jiffy especially if you have some left over rice. 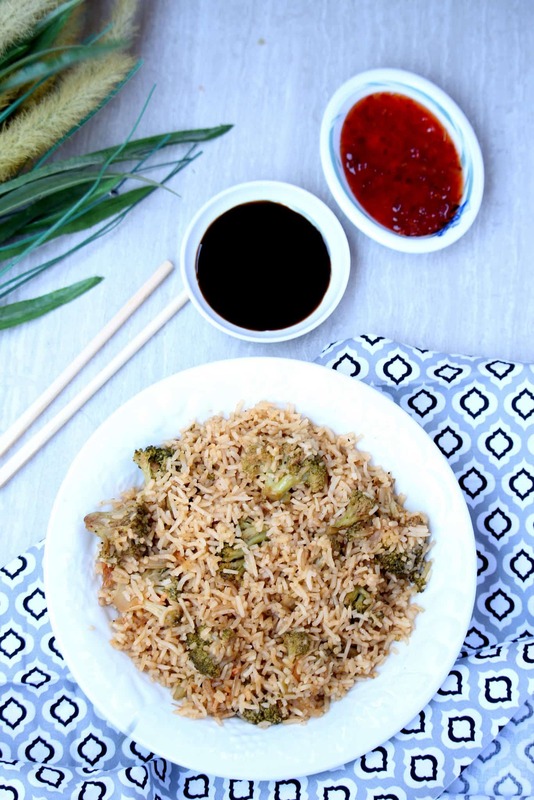 This would be a lovely recipe to use up leftover rice. Based on your preference you could use any kind of rice you have in hand. 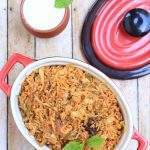 I used the basmati rice for this recipe, but I also make it at times using brown rice. I have used whatever vegetables I had I hand, but you could use any vegetable of your choice. Few of the vegetables that would work great (apart from the ones I have used) would be bell pepper, Brussels sprouts, green beans, baby corn, water chestnuts, bean sprouts and so one. Also adding tofu would be an excellent choice. Cook the rice and let it cool down. 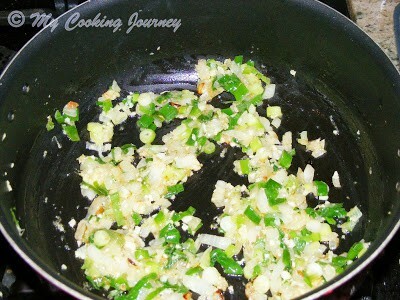 Heat oil in a wok or a wide pan and sauté the onions and spring onions along with ginger garlic paste. Let the onions turn translucent. 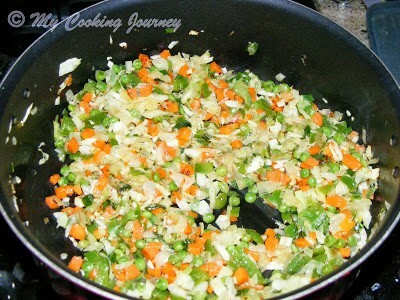 Now add the rest of the finely chopped vegetables and sauté it on high heat until half way cooked. 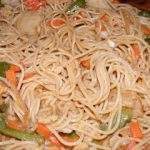 Make sure that the vegetables still have a texture to them. Add the soy sauce, chili sauce, vinegar and ketchup and cook for 2 minutes. 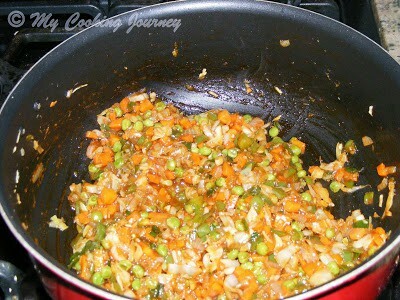 Now add the cooked rice and toss gently to combine. Taste and add more salt if needed. 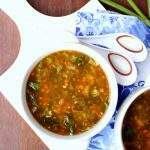 Serve with Gobhi Manchurian or any other gravy! oh the cute bowl in which it is presented!!! 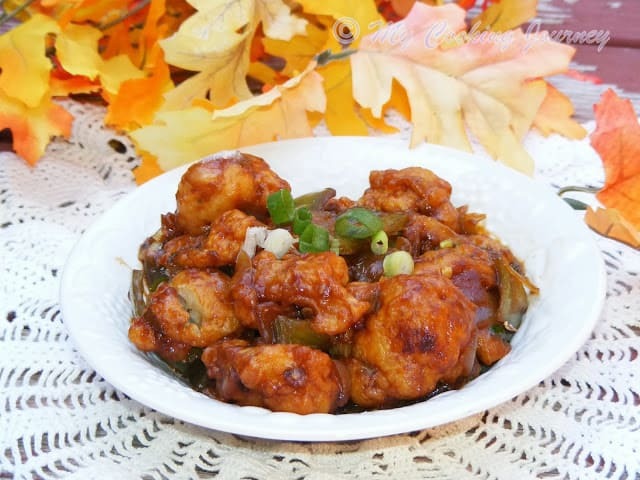 looks perfect sandhya… and I also love the combination of Gobi Manchurian and Fried Rice.. Made for each other!!! 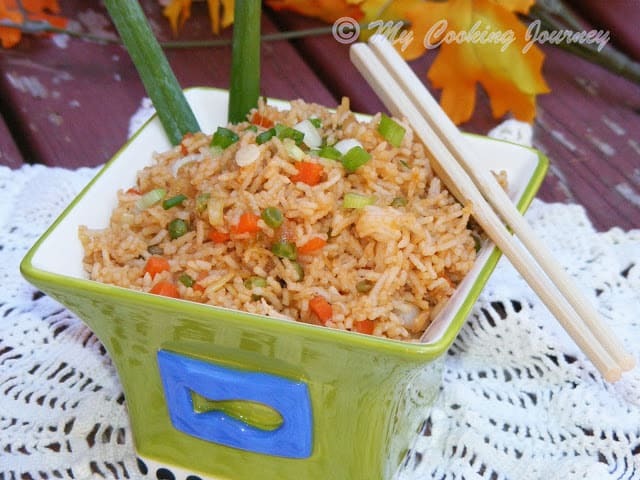 yummy never thought of adding peas to chinese fried rice. Trust me or not, i know you will be posting fried rice.Coz even i make gobi manchurian, obviously i'll make fried rice..Makes me hungry. 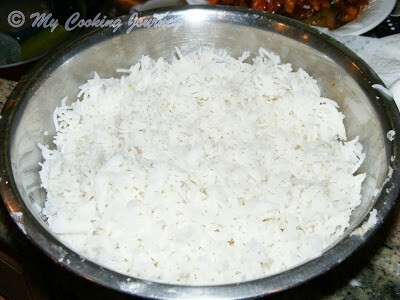 Looks wonderful must have tasted yum with all these flavors…one of my most relished rice variety.super one. 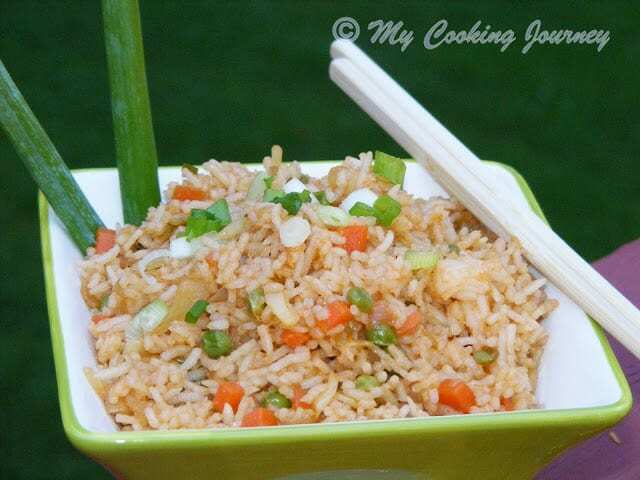 everyone's fav I go crazy for this fried rice its very tempting my kid fav too. 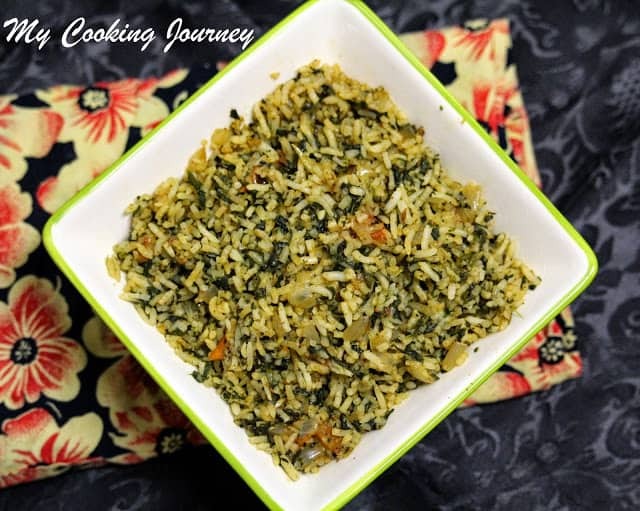 Such a colourful rice!…looks so festive! 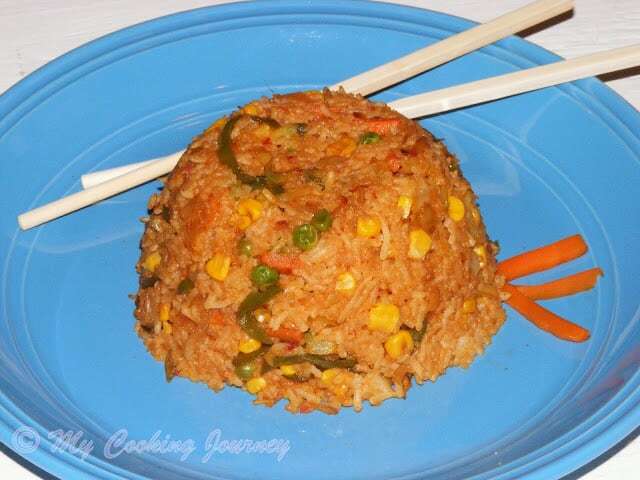 Very colourful and tasty looking fried rice. First of all I love your bowl and I love that fried rice too! 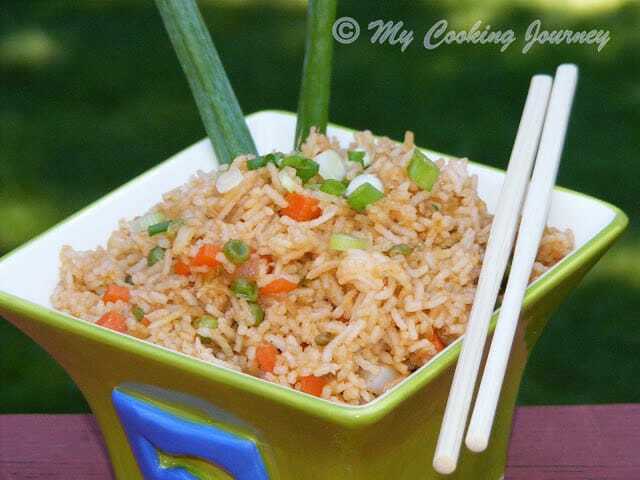 I love Chinese fried rice.. Quick and easy to make and so filling..
Yummy bowl of fried rice!!! I love it especially now when I am hungry.